Intelligence of Sherlock Holmes and deliberation of Byomkesh Bakshi come together in one character of Penumbra. Many a murder mysteries start on a high note but lose rhythm as they progress. Either the story becomes too predictable or has so many twists that one loses track of original plot. But not Penumbra. Bhaskar Chattopadhyay clearly knows how to balance. After reading Patang (read the review here), I was impatiently waiting for his next book. While Patang’s protagonist was professional and experienced, the character in Penumbra derives his acumen from chess. Superb story, absolutely flawless and gripping writing style and unpredictable climax, is what takes Penumbra beyond awesome by many leaps and bounds. Sacrifice is a powerful word. And when faced with challenges of basic survival, it seems unreal to think making sacrifices and often leads to obscurity. Pradeep Shrivastava treats the subject very deftly in his maiden novel, Sacrifice-The Road to Obscurity which clearly reflects sensitivity of a person who thinks deeply and intensely. The authors displays a certain characteristic that often reminds you of the ageless classics which are known for their depth and relevance. 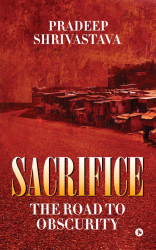 Sacrifice which is the first part of a trilogy, by standards of a debut novel, offers a lot to the reader in terms of story and thoughtfulness. Let me start with a confession. I never thought Twinkle Khanna could write anything sensible (After all, we know her as an bollywood actress who has been featured in movies like Baadshah or Joru ka Ghulam). I even read her columns with a slight prejudice. 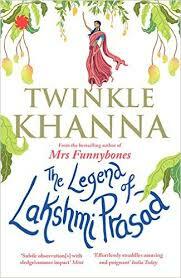 But I was somehow attracted to this one (and for once, wanted to see what a Bollywood actress could offer in terms of fiction) Also, the fact that her columns and maiden book (Mrs Funnybones) have garnered some rave reviews added to my resolve to pick up Mrs Khanna’s first attempt at fiction- The Legend of Lakhsmi Prasad. And though the similar writing style made the book sound as an extrapolation of her columns, I can’t say I was disappointed with it.